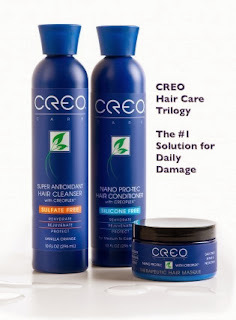 The ABCD Diaries: Look Your Best this Holiday Season with CREO Care Hair Trilogy + Giveaway! Look Your Best this Holiday Season with CREO Care Hair Trilogy + Giveaway! "CREO CARE is dedicated to providing products that unlock and support one’s natural beauty in a healthy and environmentally responsible way. We accomplish this by maintaining the high test standards with regard to the quality, origin and efficacy of the ingredients we use. In other words, if it is not good for you, not good for the environment and/or fails to comply with the standards set forth below, we will not use it.